The dust generated by the defeat of All Progressives Congress (APC) in Ebonyi State in the recently concluded general elections is yet to settle. This followed a statement issued yesterday in Abakaliki by some aggrieved aspirants of the party who accused the gubernatorial candidate, Sonni Ogbuoji, of allegedly diverting campaign funds.Some state Assembly candidates had during a media briefing in Enugu recently accused some Federal appointees including Minister of Science and Technology, Ogbonnaya Onu, of working against the party’s interests in the election. 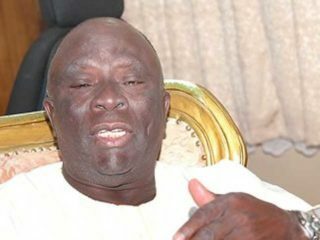 However, they urged the Adams Oshionhole-led national leadership to probe Ogbuoji over an alleged diversion of electioneering campaign funds for his private use, among other anti-party activities.A House of Representatives aspirant for Ohaozara/Onicha/Ivo federal constituency, Ogbonnia Onu, who spoke on behalf of others, claimed that Ogbuoji destroyed APC’s chances of winning the 2019 elections in Ebonyi. But when contacted for comments, Director of Media and Publicity, Ogbuoji Campaign Council, Ikenna Emewu, dismissed the allegation, describing it as unfortunate, untrue and unfounded. 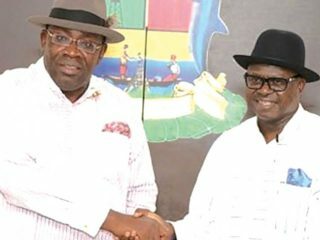 He said Ogbuoji could not have diverted any funds, stressing that there was no how he could have diverted money meant for his election when he made his best efforts to ensure that the party emerged victorious at the poll. Besides, the Ebonyi APC Youths Vanguard yesterday said APC failed to win elections in the state because the party had many factions that worked against its interests.It accused its gubernatorial candidate, Ogbuoji of creating factions and running the governorship project as a personal enterprise, as he always disagreed with everybody, adding that he only used it as a platform to get the state’s ministerial slot. 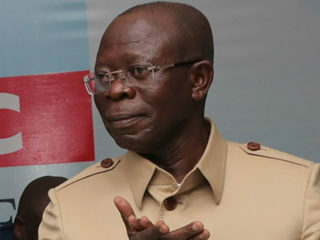 Briefing newsmen in Abakaliki, President of the group, Chuks Obeh, noted that the group had raised an alarm over his suspicious activities and cautioned the national leadership that he (Ogbuoji) was not only a bad influence, but also a destructive element that should be jettisoned if the party must survive in the state.